If you missed out on enrolling in the Watercolour Summit the first time around - I have some good news for you! The Summit is now open for anyone who would like to join. You will receive all of the lessons from the 7 teachers plus there are some bonus hand lettering and digitizing lessons. You will also have access to the recordings of the live Q and A sessions that all of the teachers took part in. There is more information if you click the button below. I'm very excited to announce that I am teaching in an online Watercolour Summit this August 13-29 (2018). I'll be teaching along with six other artists in an online forum. 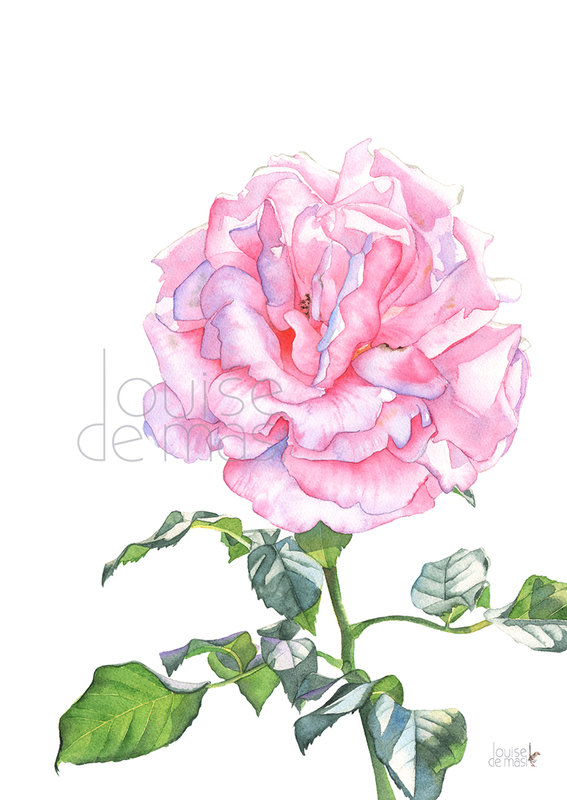 My class topic is 'Detailed Florals' and I'll be painting this pink rose. 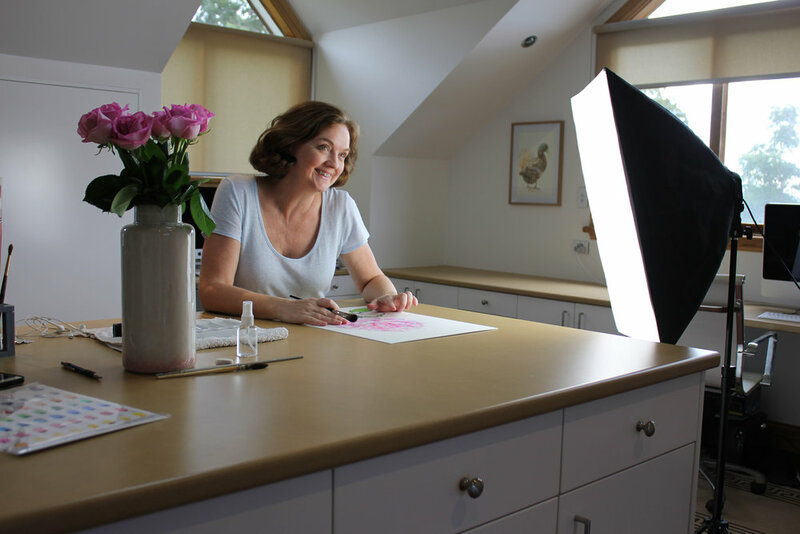 If you are learning how to paint in watercolour or if you already know how but would like to improve your skills, then the Watercolour Summit is an excellent opportunity for you. There will be 7 different classes to take and once you have enrolled you will have lifetime access to the video classes so you'll be able to watch them over and over. You can learn more about it and enroll in the summit by clicking the link below. Filming the classes in my studio at home.